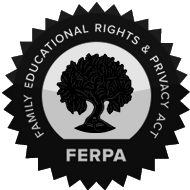 The Family Educational Rights and Privacy Act (FERPA) of 1974 was developed to protect the privacy of student education records. It establishes the right to the parents of elementary and high school students to access their child’s school records and provides them the right to inspect and review the same. After the age of 18 or beyond the high school level, these rights are transferred to the student itself. Unifyed recognizes the importance of and is familiar with security measures for keeping student information private and completely complies with FERPA guidelines. Systems and procedures are in place to ensure that student education records are always safeguarded. Unifyed follows FERPA guidelines to manage the security of student education information and is designed to identify, manage and reduce the range of threats to which your information is regularly subjected. Ensure that student education records including grades, academic transcripts, financial aid information and more are protected from loss, theft and damage through a systematic framework. Give customers confidence that their personal information is protected and confidentiality upheld. Understand how statutory and regulatory requirements impact your organization and its customers, and reduce risk of facing prosecution and fines.